Active volcanos are exciting but also very frightening because they can cause enormous damage and danger to life. There are many active volcanoes around the world. The Poas volcano in Costa Rica erupted as recently as April 2017. 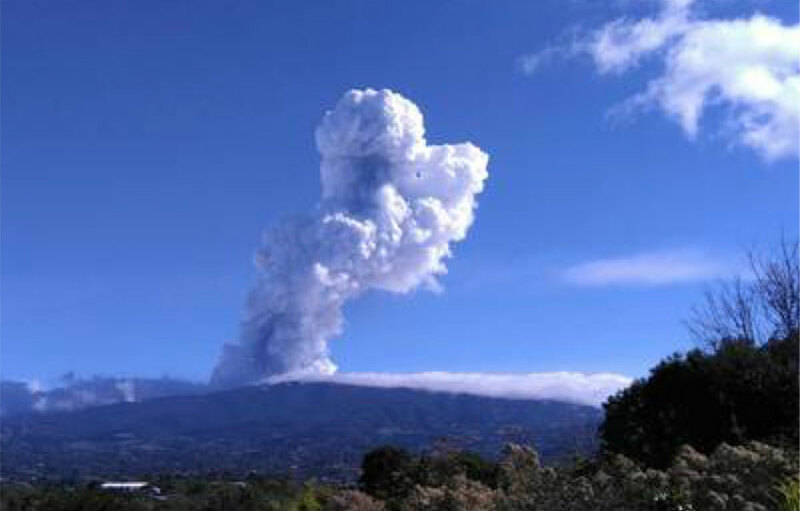 It produced a steam and ash plume that rose 3 km above the crater and caused light ash falls. Luckily, this time no one was injured. Why not create a safe, erupting volcano as a thrilling creative science activity? Just follow our simple steps below; the children will love this and learn about chemical reactions too. You can also download our helpful PDF guide to this activity, here. Sheets of A4 Craft Foam (CS1020) cut into 4 equal pieces (one piece per child). Brown or blue works well to represent the land or ocean. 1. Ask children to mould a mountain shape with the clay. 2. Using a pencil, they can make a small hole in the top. Their volcanoes need to be left overnight to dry, on the foam. Children can write their names on the foam. 3. The next day, ask children to add some bicarbonate of soda and glitter to the tops of their volcanoes. Then using a spoon, let them add a small amount of vinegar and watch their volcano erupt.